MandM Direct Ireland Vouchers, Discount offers and Free Gifts in April 2019. Redeem a MandM Direct Ireland Voucher from voucher-code.ie and get your benefit at mandmdirect.ie. Never miss again a MandM Direct Ireland voucher or sale offer! 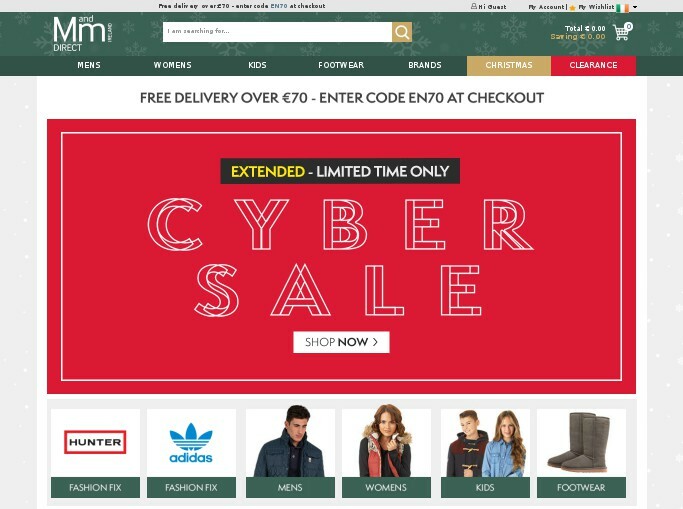 Mand M Direct Ireland is one of the leading retailers for Sports, fashion and Outdoor from the biggest brands like Adidas, Bench, Asics, Helly Hansen, Diesel, Firetrap, Timberland or French Connection. MandMdirect is based in UK and have been trading for more than 25 years. MandM Direct Ireland offers guaranteed lowest prices the whole year with savings up to 75% off recommended retail prices. With a M and M Direct Ireland Voucher customers get additional price reductions, free shipping or free gifts on top. 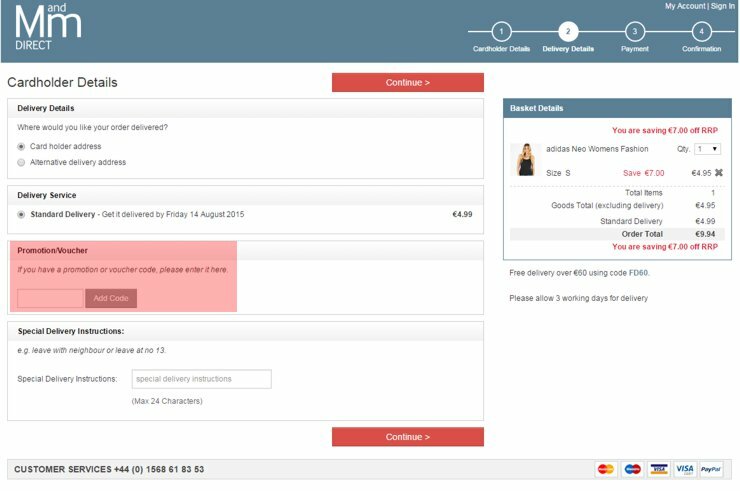 A Mandm Direct promotion or voucher code has to be entered in the Section "Promotion/Voucher" during the order process in the 2. step - Delivery Details and will be activated by pressing the "Add Code" Button. MandM Direct Ireland accepts all major credit cards and Paypal as payment methods. Standard Ireland delivery is €4.99 and free for orders over €60.